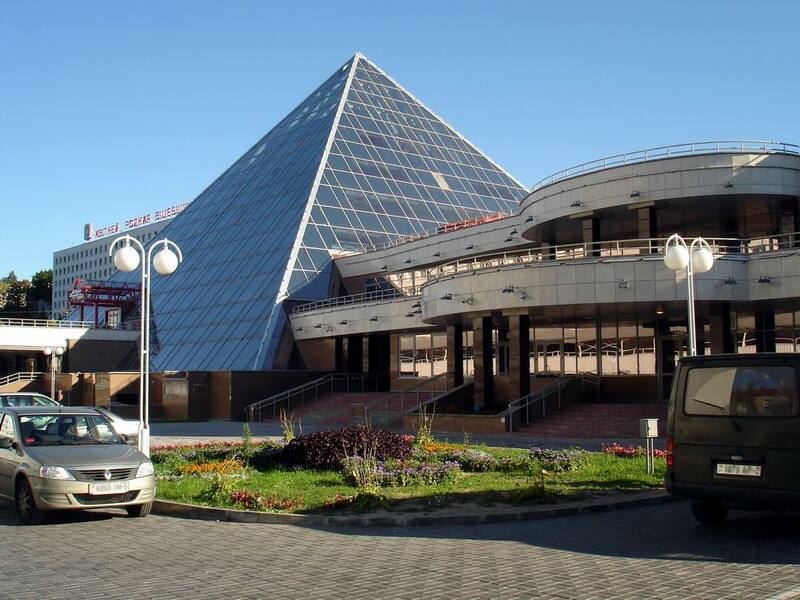 Shopping Mall "Marko-City": pyramids of life. 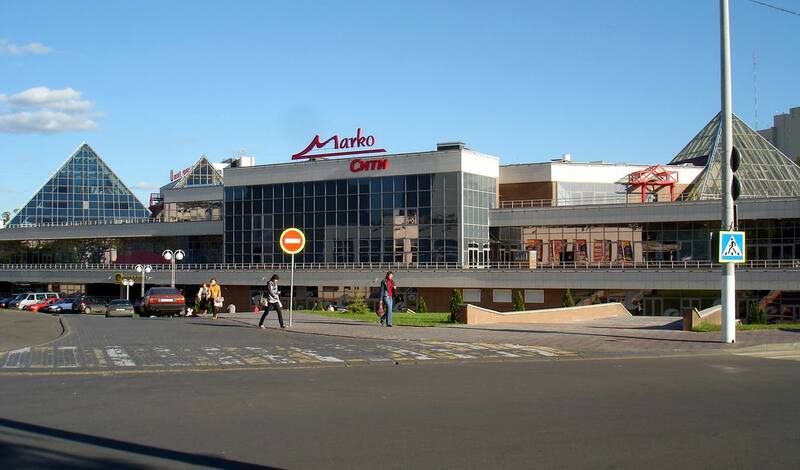 Shopping Mall "Marco-City" has recently appeared on the map of Vitebsk, but has already become an integral part of the city. Eight levels glass composition, dressed in a metal lace, is like a wonderful mirror, where the rich and diverse city is reflected along with its residents and guests at a glance, giving a feeling of serenity and purity. Vitebsk is a city of a fairy tale where even the most amazing and incredible dreams come true. And all because every corner and every sight breathes with original and unique character. This makes tourist Vitebsk even more attractive and its culture and art monuments have even greater value and significance. Even if you're for the first time in the city, it is unlikely that you will face the question of what to see in Vitebsk. Indeed, there are in many monuments of culture and art in the city that you can only enjoy rich cultural and historical heritage. Modern Vitebsk is no less attractive. Today the city pleases its guests and residents with unusual and extraordinary architectural compositions. 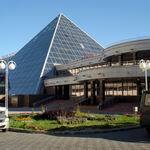 One of these attractions in Vitebsk is Shopping Mall "Marco-City". Though this extraordinary and luxurious decoration has recently appeared in the urban landscape, but became the most favorite holiday destination for Vitebsk residents. The visitors tend to capture and write their own page in a mirror image of tourist Vitebsk. The youth enjoys spending free time youth. The newlyweds rush here that their happiness reflecting in the pyramids of life to become even more complete and unwavering, and wedding shooting acquires a unique luster and a shine of luxury. The most interesting is that though Shopping Mall "Marco-City" looks like a separate structure, but in reality it is only an unusual component of the urban development. The building can be called unique because of the underground passage that connects the symbolic constructions of Vitebsk: the Shopping and Entertainment Centre and the Summer Amphitheater. The grand building is erected in the heart of Vitebsk – in Lenin Street and amazed the wider public with its truly unreal and fantastic design. Shopping Mall "Marco-City" is an eight level building with glass pyramids in the centre, framed by an elegant frame made of metal and concrete. 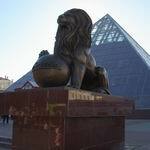 By the way, the two pyramids are 14 meters height, and the third, the largest, rose 26 meters above Vitebsk land. 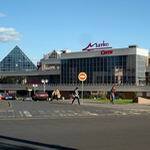 Shopping Mall "Marco-City" in Vitebsk is a real discovery for lovers of happy hunting ground. The centre truly pleases its visitors with an unprecedented scope for research: the area of construction is over 55000 square meters. For visual comparison, seven fields of Minsk stadium "Dynamo" could be easily placed within. And this expanse contains shopping pavilions, cafes, entertainment centres, beauty salons and even a children's playground. Walking through Shopping Mall "Marco-City" you is convinced of the grandeur and unsurpassed beauty of the architecture of Vitebsk. And it's not just words. Numerous pages of city portal VitebskCity.by will tell you this. Here you will not only find information about the beauty and culture of Vitebsk, but also learn a lot about local attractions, which are situated near Shopping Mall "Marco-City". 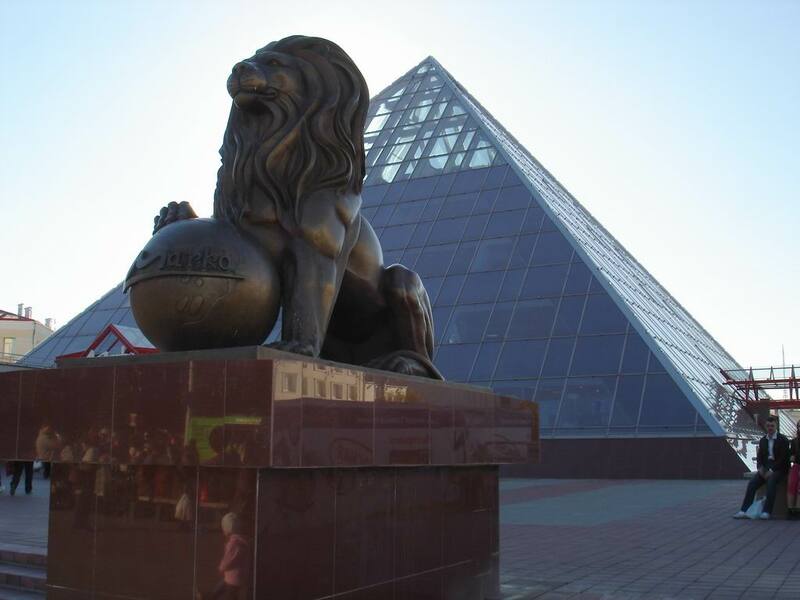 For example, you will discover the secret of the popularity of the Summer Amphitheater and find the highlight of Museum "Dukhovskoy Kruglik". And if you suddenly want to be alone – its high time to walk in Frunze Park, where the calming whisper of the leaves will awaken romantic feelings and give a feeling of quiet happiness. In the end of the informative trip in Vitebsk walk along spacious Lenin Street, to hear the incredible history of Vitebsk, which the city itself will whisper to you.